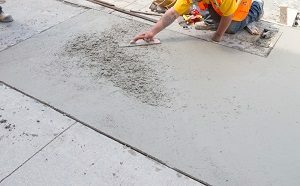 Hiring a decorative concrete contractor who is reliable, qualified and competent is not such an easy task. In most cases, the home owners are quick to hire just any company that they come across and end up with unprofessional services that yet again adds to the expenditure. To avoid such circumstances, optimal time, attention and research is required right before selecting any company for concrete services. To make this selection process simpler one, this article provides a list of tips and ideas that you can follow when looking for a creditable professional. References: The journey to discover potential contractors for concrete services begins with references. Collect references from ethical sources such as online portals, friends or family members and at the same time understand why they specifically recommend these contractors. Taking an account of the qualities and experience at this stage is essential, as later it will help you in distinguishing from multiple options. Portfolio: Now that you have a list of companies with you, the next step is to examine their working portfolio. This will give you a brief idea about the type of services that they offer along with the quality. Moreover, portfolio is even a clear reflection of the specialization, experience and expertise of the contractors and the type of work they have done and the clients they have worked for. Quotations: When satisfied with the portfolio of a particular company, place a request for free quote. While asking for the quotation; do make sure that you mention each and every aspect of the project requirement so that the same can be incorporated while developing the quotation and work plan, resulting into an accurate quote. For better understanding, you can even get every part of it in writing with perfect estimations, to ensure that the service charge of the company is according to your budget. Compare: This is the most important step where you have to compare the different aspects of various companies. Examine them in terms of their service charges, qualities, expertise, experience and even the portfolio that you had seen before. It is essential because you have to choose one of the short listed ones that best suit your requirements, budget and expectations. Share your guidelines: This step can come in handy if you are unable to pick a company even after comparing them. Here, you need to share certain guidelines that are important to you, for example the deadline, working efficiency, the techniques to be used in the process, the budget and quality of equipments that will be used in the project. Consider the reply that you get from them and then choose the one that turns up to your expectations and the past clients feedback and reviews are equally vital. Why Hire Professional for Decorative Concrete Service? This is a common question that often revolves in the mind of many; why hire a professional decorative concrete services provider over the traditional ones? 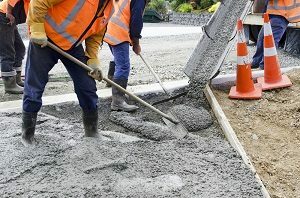 Well, the professionals who are known for dealing with decorative concrete hold years of expertise and thus understand the techniques, tools and proficiency that the job demands. They are aware of the essentialities of such projects and thus will be able to cater effectively as compared to any other traditional concrete service contractor. So, when it comes to high quality services with on-time results then there cannot be a better option than the best decorative concrete service provider. This entry was posted in Real Estate Building and tagged Concrete Companies, Concrete Company, Concrete Contractor, Concrete Contractors, Concrete Service, Concrete Services, Decorative Concrete, Decorative Concrete Contractor, Decorative Concrete Services. Bookmark the permalink.